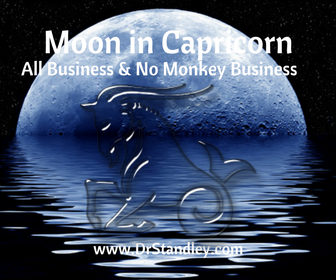 The Moon is in Capricorn, the boss, the manager, the CEO, the military, the government, career, status, rank and public recognition until Monday, March 12, 2018 at 6:44 PM EDT. Today we experience three (3) aspects to the Moon with those being two (2) squares and one (1) conjunction in that order. Did you know that these lunar aspects occur twice a month? They sure do! Lunar conjunctions and lunar oppositions occur only once a month because they can only conjunct or oppose one sign, once a month. Lunar sextiles, trines and squares occur twice a month because they will sextile, trine or square two signs in any given month. Lunar = Moon. The first lunar aspect today is the Moon square Venus, which makes it difficult to express how you feel in close personal relationships. This challenge can appear in any close personal relationship whether it is romantic, family or friends. This aspect can make you feel very uncomfortable even around people you know. You may not feel Good enough, you may feel as if you don't belong or you may feel misunderstood. This is an aspect where you are better off hanging around people you don't know, more than you are hanging out with people you do know. There is a feeling of rejection, disconnect and loneliness. In turn you may attempt to channel this energy elsewhere and end up spending money you don't have, which then causes financial problems. This is why this aspect 'can' prove to be unlucky in money and Love. It's not really 'unlucky' but it certainly can feel that way when you aren't feeling the Love and spending money doesn't help. This aspect will show up again on Sunday, March 25, 2018. The second lunar aspect is the Moon squares Mercury making it difficult for you to communicate how you feel. DANG, on the same day as the Moon square Venus. Well that's rotten! You SHOULD NOT make any important decisions under this aspect simply because you are nervous about making the right decision and you are torn between the pro and the con. If you make an important decision while you are nervous, then it will probably be the wrong decision and it will turn out to be irrational because you weren't thinking clearly. Then you will think you are mistreated. *See, another reason to go hang out with people you don't know. This aspect will show up again on Sunday, March 25, 2018. 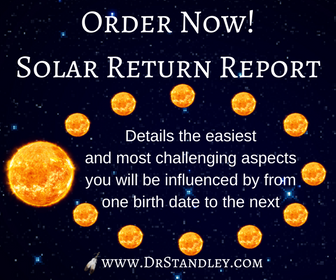 The third and final lunar aspect today is the Moon conjuncts Saturn and will really play on your emotions causing you to become reserved, standoffish and possibly even painfully shy. There will be a lot of doubt in how you think people receive you. Self-confidence is lacking and warmth is lacking, simply because Saturn is an emotionally cold planet. There are mommy and daddy issues accompanied by this aspect since the Moon rules the mother and Saturn rules the father. This is a day where you could really end up feeling sorry for yourself. Thank God the Moon is in Capricorn where you may be too cold to even care at this point. Since this conjunction is afflicted by Venus (in a square, look at the chart wheel) then you will likely feel as though no one Loves you, even friends and family. Folks, its just a jacked-up day when it comes to emotions and feelin' the Love. Again, go hang out with people you don't know. I'm telling you, this will make you feel better because they don't know you and you don't know them. Thank God this is only today and not your whole Life. Right? Download the 'Moon Square Venus' chart wheel here! The Moon in Capricorn square Venus in Aries at exactly 2:31 PM EST. You will feel this energy within 12-14 hours 'before and after' it occurs. The Moon in Capricorn square Mercury in Aries at exactly 8:25 PM EST. You will feel this energy within 12-14 hours 'before and after' it occurs. The Moon in Capricorn conjunct Saturn in Capricorn at exactly 9:05 PM EST. You will feel this energy within 12-14 hours 'before and after' it occurs.